A distinctive luxury brand with international recognition and broad appeal. They design, source, manufacture and distribute high-quality apparel and accessories. Presented in a perfect box and tied with double face satin ribbon, our gift card is the gift of choice. This card is redeemable in all US stores and online. Gift cards are not redeemable for cash and cannot be replaced if lost or stolen. Established in 1856, it is a British brand with a heritage of innovation, craftsmanship and design. Based in London under the direction of Chief Executive Officer Christopher Bailey, the brand has a global reputation for functionality with a unique British sensibility. 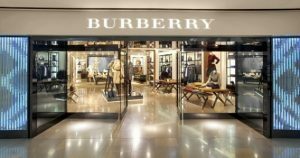 The company began with the invention of gabardine, the weatherproof fabric patented by Thomas Burberry, who later designed the trench coat, which retains its iconic status today.